As CW Fashion Editor; Vato believes we need to know more about our Designers and other outlets for fashion in/out of Milwaukee. 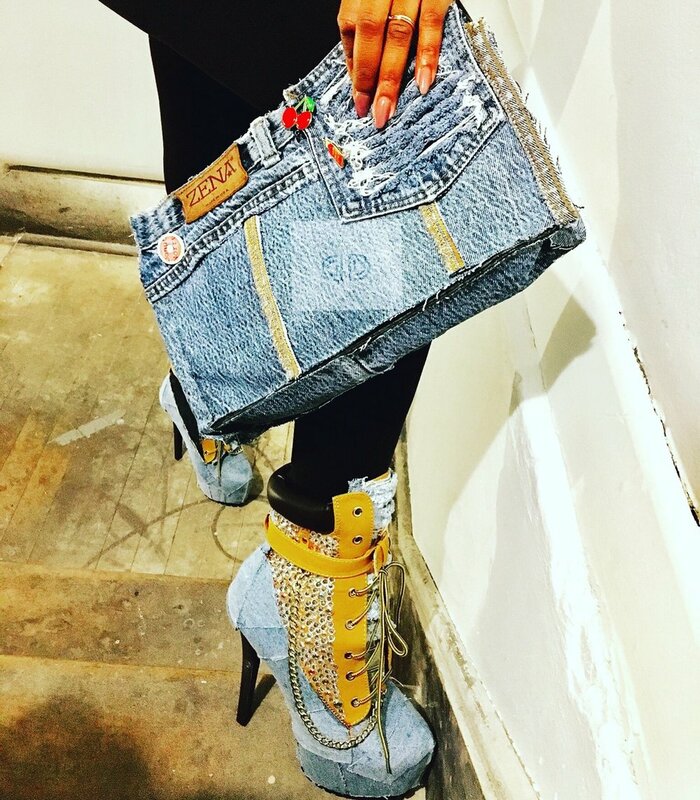 I would love to represent the our 1st featured designer Darla Shanae of Deemolishment Denim. I've known Darla for about 3 years now and seen so much of her work. It is great! My first encounter with Darla was for a fashion show: she styled me in a white blazer trimmed in Denim. I loved it. I want you all to take a deeper look in to Deemolishment Denim. THE MOST FASHIONABLE WAY TO RECREATE YOUR WARDROBE! Over a short time span, Deemolishment has grown into providing custom clothing to customers in the Midwest area. Through our online Etsy store, Deemolishment has also grown to provide these beautiful pieces to people across the United States and also Worldwide! At this time in their career, DeeMolishment Denim is offering DIY Workshops (Universal Denim) around the nation to teach at-home ways to destroy and recreate denim. So far, the workshops have been provided to middle/high schoolers in hopes of inspiring them to become entrepreneurs of their own someday. Inquire with the shop members about this opportunity!